I will be going back to Singapore tomorrow after 2 weeks holidaying in my hometown Penang. It has been a fantastic break for me. No cooking or houseworks. Best of all is to have many “part-time” caretakers (aka my family members) taking turns to entertain my little boy. What a great relief! LOL! Nevertheless, we can’t wait to go back home and join the Christmas fun. The is the first Christmas we will be spending in Singapore since moving over from Kuala Lumpur three years ago. Here, I would like to wish all my blogger friends and readers “Merry Christmas and Happy New Year”! Two weeks ago, I received an email from Mr Tan (the owner of Ivy Kitchen). He requested for permission to use the petunia photo in my food review post as his new restaurant signage. I was so thrilled and agreed. I went over to the restaurant two days ago to take a look at it and took this photo. nice and great shoot up…. btw.. had u tried the coffee? Oh, you’re from Penang! 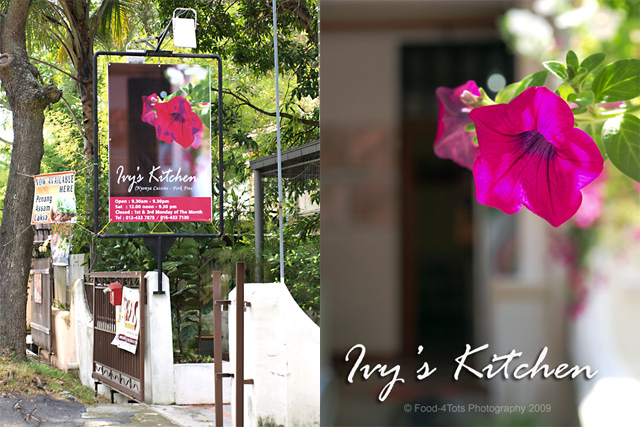 A lot of good cooks come from Penang 🙂 Glad you had a good break … and congrats on your photography being immortalised at Ivy’s Kitchen! Time to start juggling to entertain your son and at the same time celebrate Xmas. a very Merry Xmas to you and your family too! Tracie Moo: Yeah, you’re right. It’s so much better than KL and PG. Merry Xmas to you and your family too! Gertrude: Happy Holidays to you and your family! Congratulations! Merry Christmas and All the best in the coming year 2010. Congrats! You always have great shots on your blog so it’s no surprise your photo was chosen to become a restaurant sign! 🙂 Merry Christmas to you and your family! Happy Holidays to you and Family. Beautiful picture! Oh!! Congrats!! You deserve the recognition! Yea, it’s always nice to be home! Here’s to wish you a happy holiday season!! Also, a big congrat on the photo, it looks fantastic!!! 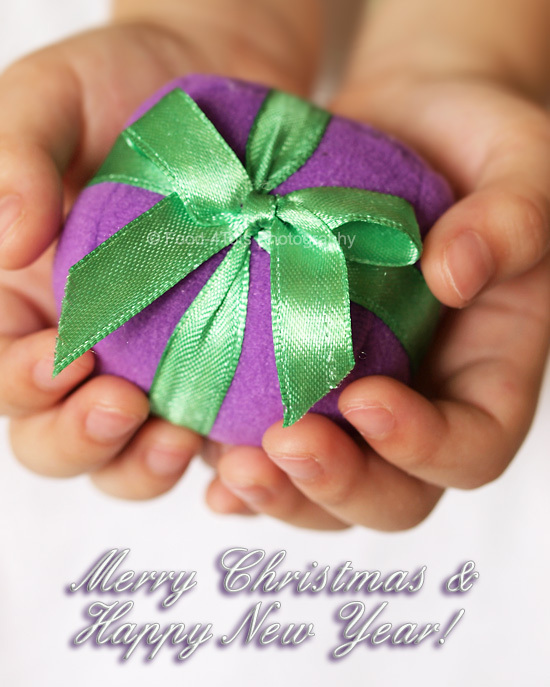 Happy Holiday & Merry Christmas to you and your family. Hope to meet up again on your next visit. I miss Penang! All the yummy food…Congrats on the picture! It’s lovely. Enjoy a happy and safe trip! 32 queries in 0.311 seconds.